Contact the FSU if you need to file a grievance or if you would like to speak with an officer about a potential grievance or work related issue (grievance officers are listed below; lecturers may end up working with any of the non-tenure track faculty grievance officers listed; all members seeking help for grievance related matters are asked to first contact the FSU office). You can also contact the FSU if you become aware of broader and/or systemic policy or contract compliance issues. You can read a primer on the grievance procedure (what can be grieved? when to file a grievance? what to do about retaliation?) here. If you are facing legal issues related to your employment (i.e. a lawsuit from a student) you may be eligible for free legal services from the MTA (NOTE: this applies to dues paying members only- agency service fee members are not eligible). Click here for more information. IMPORTANT INFORMATION REGARDING YOUR RIGHT TO HAVE A UNION WITNESS AT MEETINGS WITH YOUR EMPLOYER/SUPERVISOR: If your chair/program director/supervisor has asked you to attend an 'investigatory' interview, you have a legal right to have a union witness present (this is known as 'Weingarten Rights'). An investigatory interview can include any meeting that might have disciplinary repercussions and/or any meeting in which you are asked to defend your conduct or give evidence. You must assert this right- the employer is not obligated to inform you of this right. If the employer does not indicate the agenda of the meeting in advance, you have the right to ask if disciplinary measures could result from the meeting. Any answer other than 'no' means you have the right to have a union witness at the meeting (note that this right can even be invoked in the middle of the meeting if, for example, the agenda suddenly changes or the employer engages in a line of questioning that might have disciplinary repercussions). For a more detailed primer on Weingarten Rights click here. 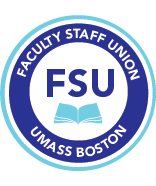 Contact a grievance officer or the FSU office if you would like to have a union representative present at such a meeting. Click here for a copy of the FSU grievance form. Click here to see Article 25 of the contract, which details the grievance procedure. Click here for the latest update on pending FSU grievance matters (includes prior updates).